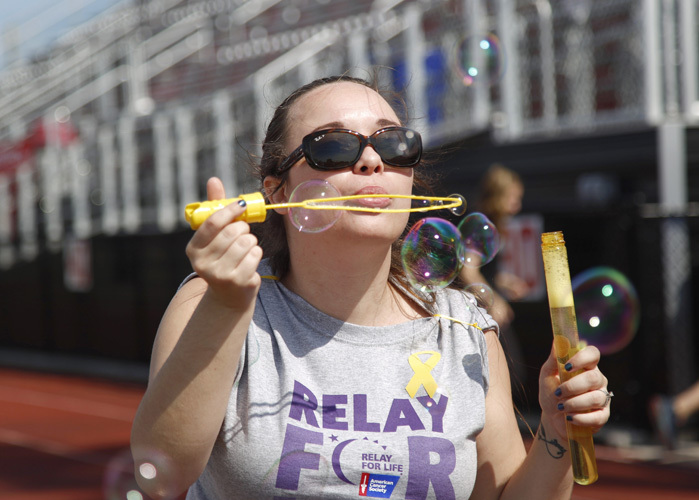 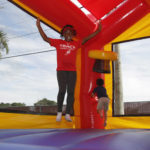 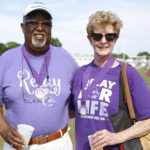 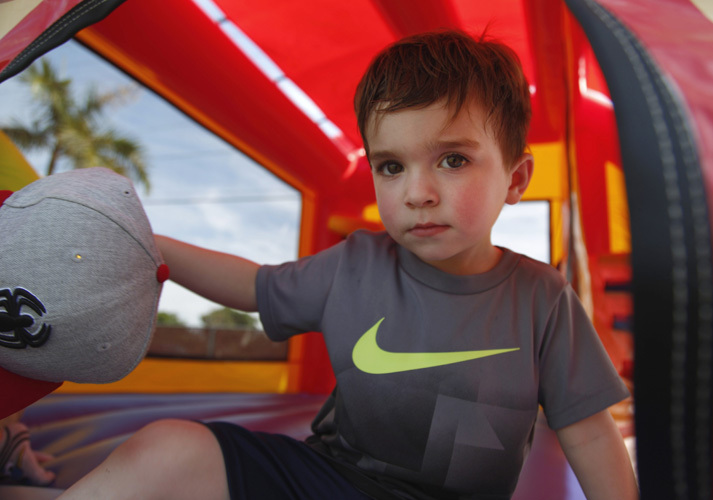 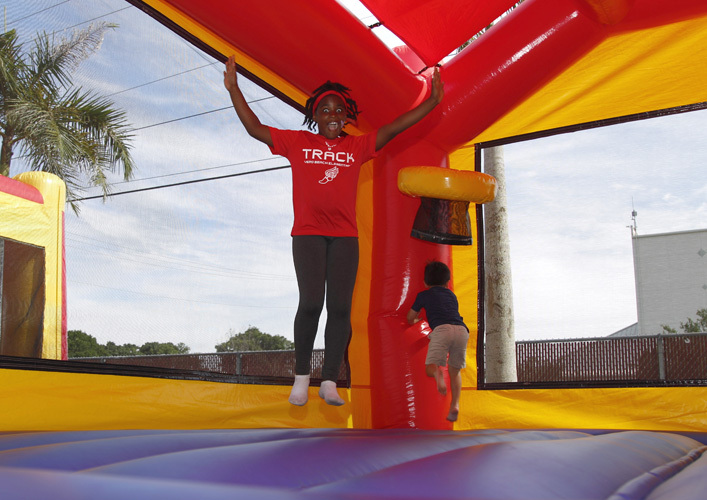 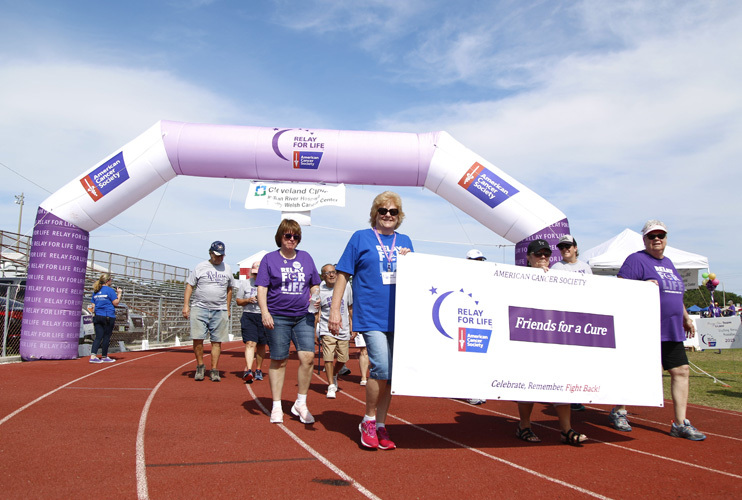 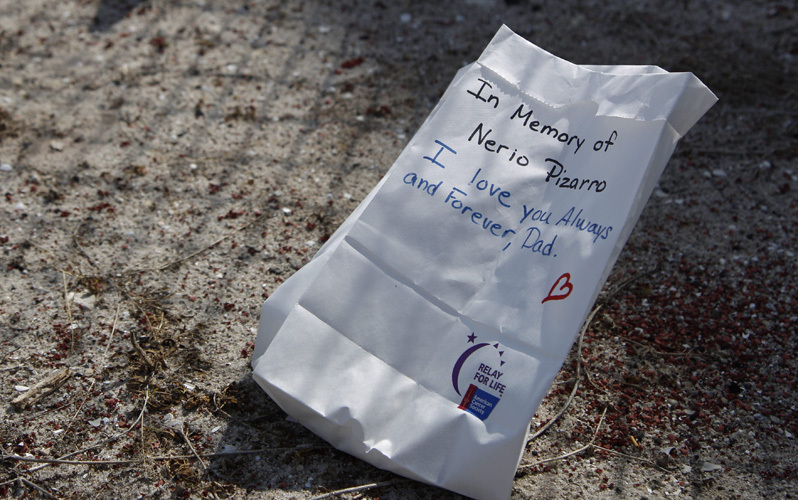 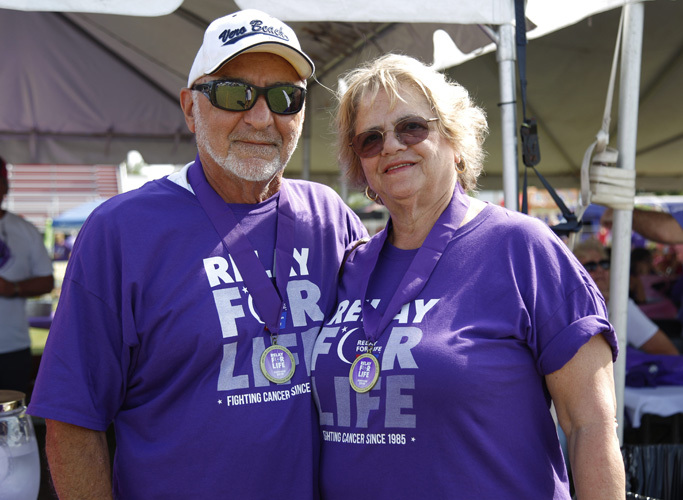 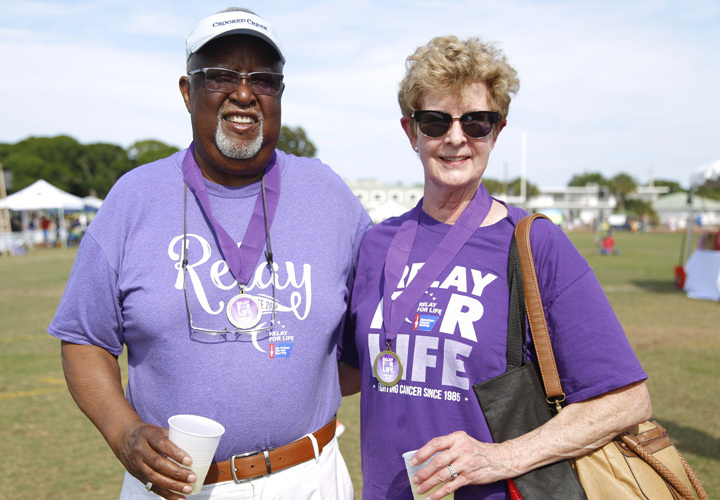 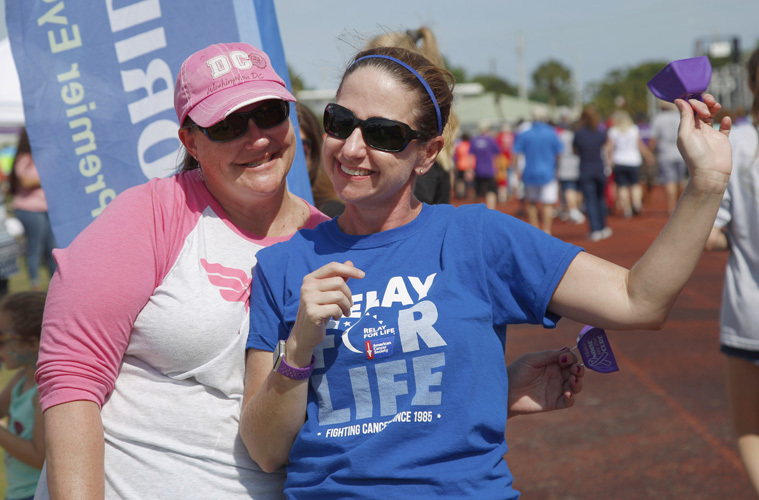 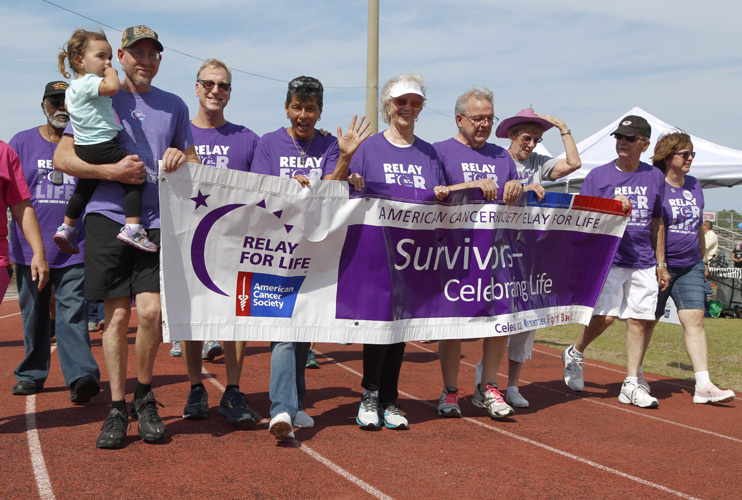 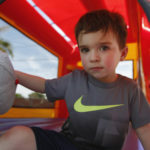 A spirit of optimism greeted cancer survivors as hundreds gathered at the Vero Beach High School Citrus Bowl last Saturday afternoon for the 2019 Relay for Life of Indian River – a combined Relay that incorporated the former Relay of the Beaches and Sebastian Relay. 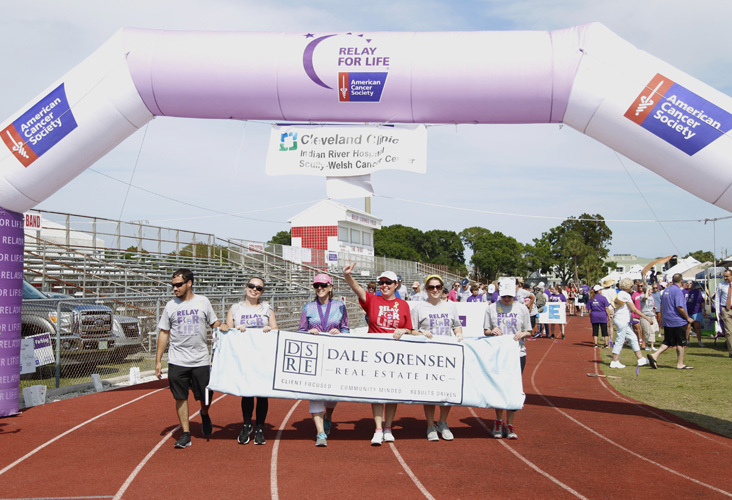 With awareness ribbons now sported in a rainbow of colors to represent various types of cancer, the Relay theme was also inclusive – Colors for a Cure: We Fight for Them All. 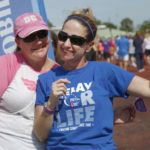 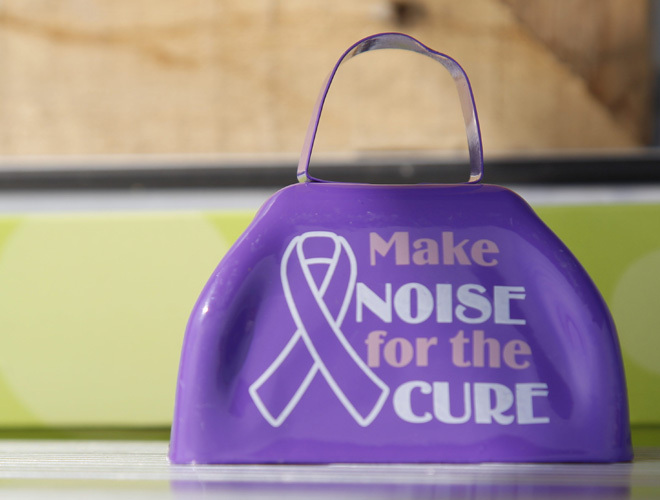 At Relays nationwide, people come together to remember those lost to the disease, support people currently facing the challenge and fund research in hopes of one day eliminating cancer. 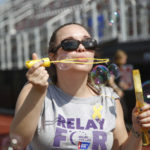 All are also spurred on by the urgent need to raise an awareness of cancer prevention, detection and education. 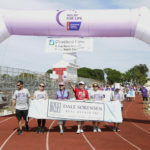 Tamara Snycerski, event lead, said she first got involved eight years ago through her employment at Gould Cooksey Fennell and has continued ever since. 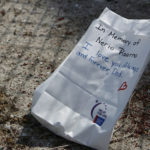 Unlike the Friday night into Saturday overnight Relays of the past, she said the committee and team captains voted to switch to a Saturday afternoon, sending people home following the 9 p.m. Luminaria Ceremony. 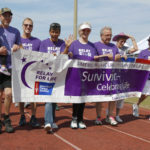 After an inspirational Heroes of Hope Survivor Lap, about 50 teams opened their sites for the ‘business’ of fundraising, and live bands and a variety of games kept spirits high as other team members circled the track. 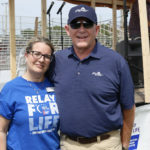 “Over the next seven hours, we’ll recognize the battle waged around the clock by those facing cancer,” said Treasure & Space Coast Radio’s Chelsea Rose, who emceed with Hamp Elliott. 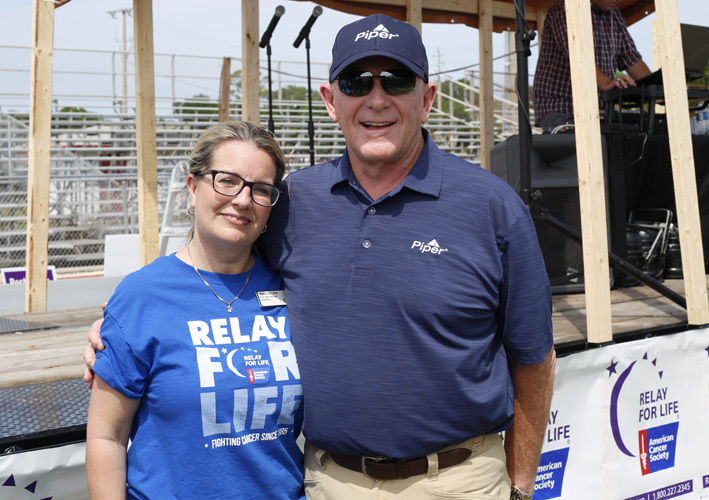 “Each year, I look forward to being here with the Piper team to join the community in our battle to raise awareness and find a cure for cancer,” said Simon Caldecott, president/CEO of Piper, the event’s presenting sponsor. 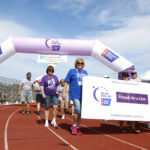 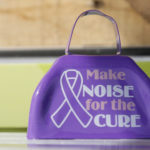 He added that their “Wings for a Cure” team had already surpassed its $12,500 goal and anticipated raising more than $14,000. 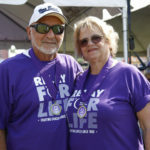 Tamara Snycerski and Simon Caldecott.